This book summarises work done and experience gained over the past three decades in the area of tribology in electrical environments. It takes a close look at behaviour and response characteristics of rolling-element, and hydrodynamic journal & thrust bearings working under the influence of electrical current. 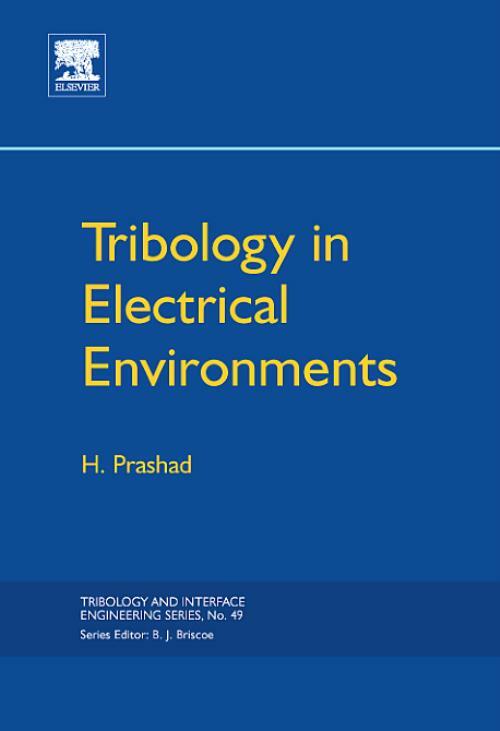 Detailed analysis plugs the existing knowledge gaps in the area of tribology in electrical environments. This is because the genesis of intermolecular forces during tribological interaction involves electrostatic attraction or repulsion that creates electro-dynamic, magnetic and exchange forces between atoms. Therefore all tribological phenomena occurring in any interacting system is electrical in nature. Prashad, H.Dr Har Prashad works in the Research and Development Division of Bharat Heavy Electricals Limited (BHEL), one of the world's leading manufacturers of power plant. He has published widely on tribology issues in engineering.